Being in a relationship can have its ups and downs. However, if you or someone you love is in a relationship that is abusive, it is time to seek help. Being physically, emotionally, sexually, or verbally abused is never ok, and our team is always here to help. Whether you are currently in an abusive relationship, or you have been the victim of abuse in the past, we are here to help you work through the pain and confusion, and to help you achieve a fuller, happier life. We provide domestic violence counseling in Oklahoma City that is tailor fit to your unique needs. Speak to a certified counselor today to seek help. Physical violence against another person is usually the most commonly thought of form of abuse. 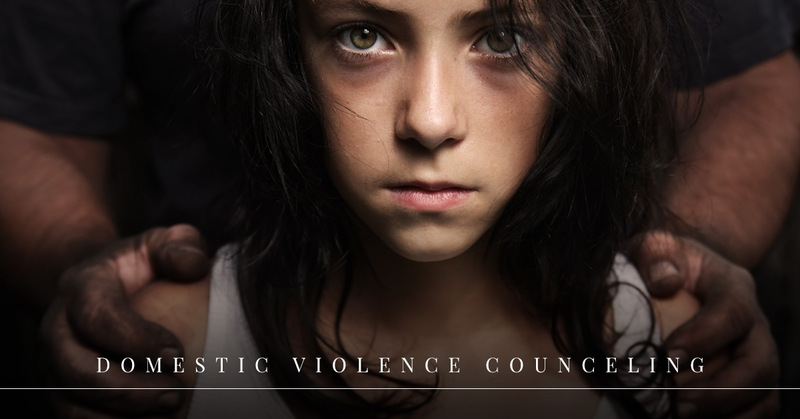 However, abuse can take on many forms beyond physical acts of violence. At its core, abuse involves the behavior of one person towards the other aimed at taking and maintaining control over the victim. Domestic abuse is not just reserved for spouses or girlfriends/boyfriends, it can also involve children, siblings, parents, and anyone with which you have an intimate relationship. Physical abuse: This can include any form of physical violence such as hitting, choking, biting, shoving, or forcing someone to do something against their will through physical force. Verbal abuse: Yelling, name-calling, swearing, and verbally threatening another person are all examples of verbal abuse. Often verbal abuse is intertwined with physical, emotional, and psychological abuse. Emotional abuse: This form of abuse is often harder for victims to identify because there are no physical wounds to show. Emotional abuse includes putting down someone, destroying someone’s self-worth, blaming someone excessively, and constant criticism. Psychological abuse: Similar to emotional abuse, this can be harder to detect, particularly for a victim who might be made to believe they are crazy. This can include threats, isolation, gaslighting, or threatening self-harm to manipulate the victim into staying. Sexual abuse: Even in a committed relationship, consent is necessary. If someone is forced or coerced into sexual acts, this is abuse no matter what the relationship. Sexual abuse can also include demeaning sexual treatment. Sometimes it can be hard to admit to oneself that you are in an abusive relationship, and it can be hard to identify subtle forms of abuse. For example: Jane has been dating Bobby for a number of months now. Things started out great, but lately Jane feels uneasy. Bobby never hits Jane, but he constantly belittles her, questions her actions, and tells her she’s overly sensitive when she brings up her concerns. Bobby is also extremely possessive of Jane’s time and cold shoulder’s Jane for days on end if she upsets him by spending too much time with her old friends. Over time Jane realizes the only person she is close to anymore is Bobby. She begins to doubt her own thoughts and feels crazy most days. Bobby reassures her that he loves her even though she is a difficult person and that it is a good thing she has him around because no one else would want to be with her. Although Bobby never hits Jane, he is still abusing her. Using manipulation and power tactics to take control of another person is never ok, no matter if it is a wife doing it to a husband, a parent to their child, or a sibling to another sibling. If you are in an abusive relationship, have been in the past, or are concerned you might be in one but aren’t sure, come talk to a certified counselor in Oklahoma City. We provide a non-judgmental, safe space for you to talk about your feelings. We can also connect you to helpful support groups in the area. Healing can take place for anyone, but the first step towards healing is asking for help. It can be extremely difficult to walk away from an abusive relationship, or to heal wounds from a past relationship. Our therapists are here to help you take that journey. Contact us today for help.